Seán Donnelly's complete guide to local elections in Ireland in 2014, including comprehensive background and historical information, has just been published in association with ElectionsIreland.org. It is available for order now at 30% off the list price. Lulu.com provides a print-to-order service and a choice of delivery options. A preview of the table of contents and introductory pages is available from the Elections 2014 page on Lulu.com. Please note that all orders are dealt with entirely by Lulu, and ElectionsIreland.org cannot be held responsible for any orders. However, we welcome your feedback on the book and the ordering process. 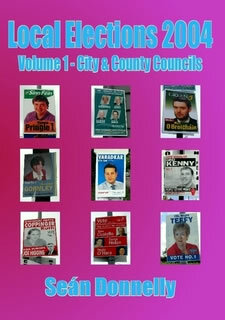 Seán Donnelly's complete guide to Borough and Town Council elections in Ireland in 2009, including comprehensive background and historical information, has been published in association with ElectionsIreland.org. It is available for order now at 25% off the list price. Lulu.com provides a print-to-order service and a choice of delivery options. A preview of the table of contents and introductory pages is available from the Local Elections 2009 volume 2 page on Lulu.com. 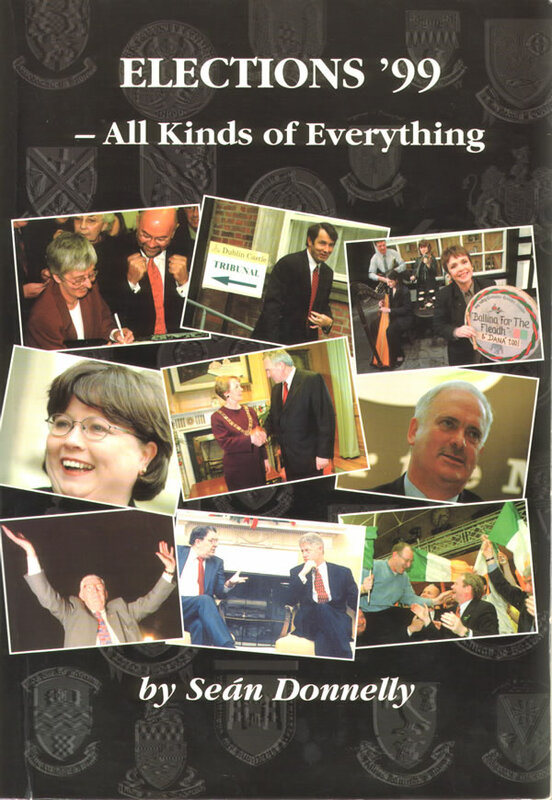 Seán Donnelly's complete guide to City and County Council elections in Ireland in 2004, including comprehensive background and historical information, has just been published in association with ElectionsIreland.org. It is available for order now at a special introductory price of €25 (+p&p) - 50% off the list price. Lulu.com provides a print-to-order service and a choice of delivery options. A preview of the table of contents and introductory pages is available from the Local Elections 2004 page on Lulu.com. Click here to order from Lulu.com at special price of €25+p&p. 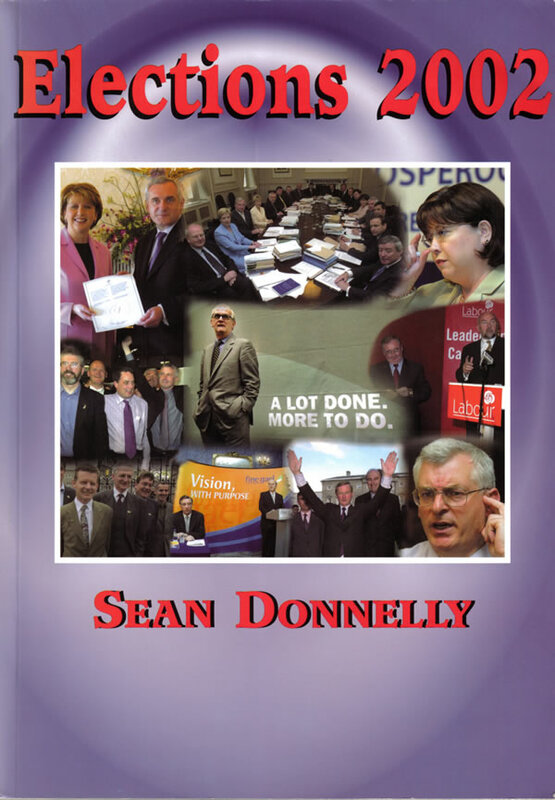 Seán Donnelly's complete guide to Dáil and Seanad elections in Ireland in 2007, including comprehensive background and historical information, has just been published in association with ElectionsIreland.org. It is available for order now at a special introductory price of €22.50 (+p&p) - 50% off the list price. Lulu.com provides a print-to-order service and a choice of delivery options. A preview of the table of contents and introductory pages is available from the Elections 2007 page on Lulu.com. 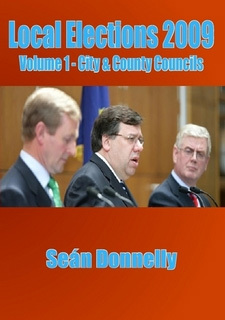 Seán Donnelly's complete guide to City and County Council elections in Ireland in 2009, including comprehensive background and historical information, has just been published in association with ElectionsIreland.org. It is available for order now at 25% off the list price. Lulu.com provides a print-to-order service and a choice of delivery options. 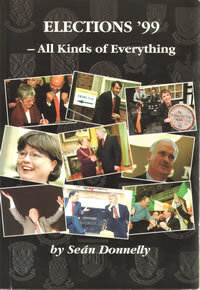 A preview of the table of contents and introductory pages is available from the Local Elections 2009 page on Lulu.com. 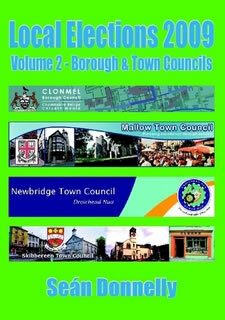 This book now has a redesigned cover and title to help differentiate it from the books on general elections, and in anticipation of the release of Volume 2 covering Town and Borough Councils. The contents are the same as the previously published Elections 2009. 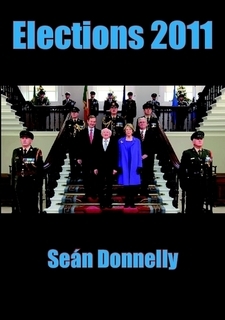 Seán Donnelly's complete guide to Dáil, Seanad and Presidential elections in Ireland in 2011, including comprehensive background and historical information, has just been published in association with ElectionsIreland.org. It is available for order now at 25% off the list price. Lulu.com provides a print-to-order service and a choice of delivery options. A preview of the table of contents and introductory pages is available from the Elections 2011 page on Lulu.com. As well as comprehensive details of all the 2011 elections, there is a wealth of information on referendums, by elections and all general elections since 1918. Indexes cover all TDs and Senators since 1918, and all candidates who stood for the Dáil and Seanad in 2011. 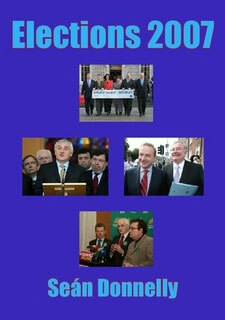 There is also a directory section with details of all current political parties, TDs and Senators. Seán Donnelly has produced a series of books on elections in Ireland since 1991. Each book contains a wealth of detailed statistics, analysis and background information. 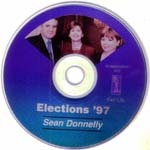 A CD-ROM was available to complement Elections '97. These books are currently out of print. 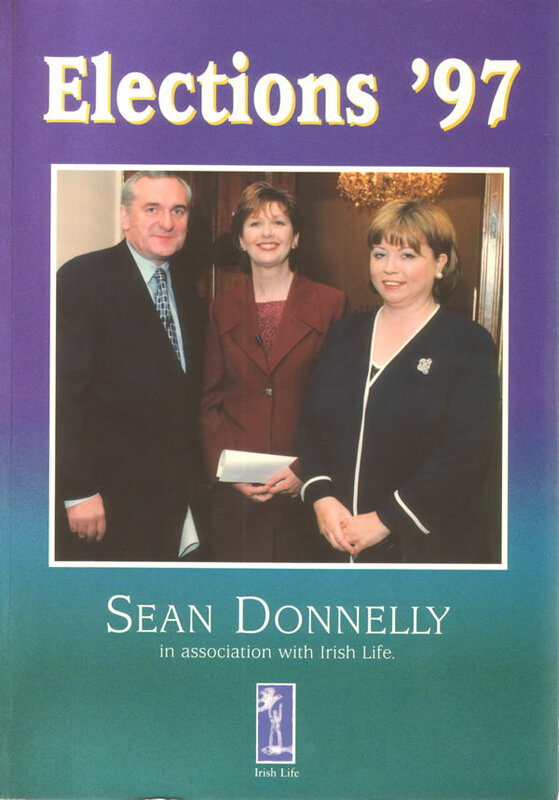 Full coverage of the 2002 elections for the Dáil and Seanad, with updated Referenda coverage including both Nice Treaty polls. 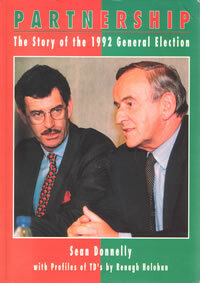 Full coverage of June 1999 elections to County Councils, Corporations, Urban District Councils and Town Commissions, as well as complete European Elections details since 1979. 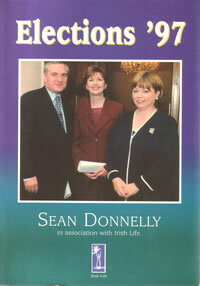 Extensive coverage of the 1997 elections for Dáil, Seanad and President, plus 1994 European and Referenda to date. 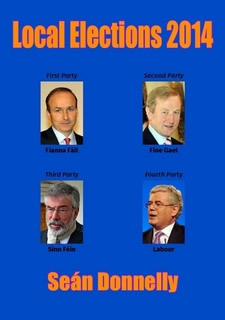 The most extensive guide to the results of an General Election in Ireland ever produced. Detailed analysis of every count, plus profiles of every TD elected. 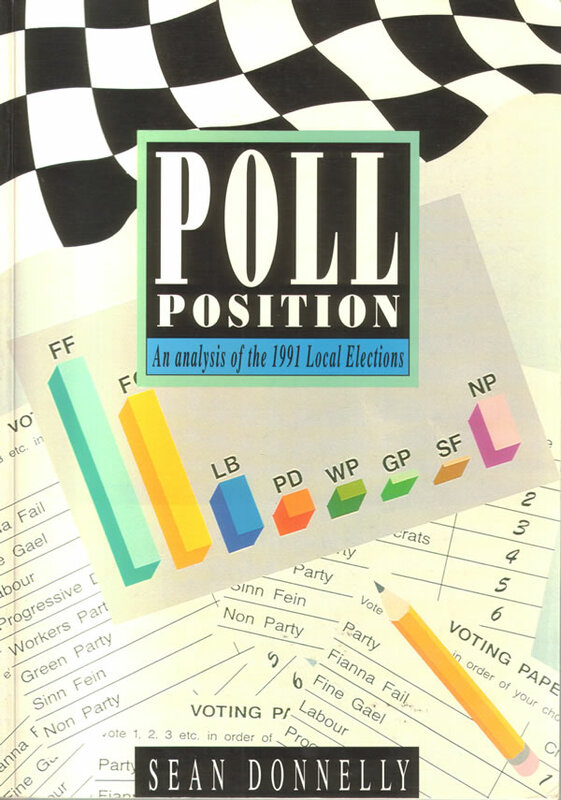 Detailed guide to the results in every area in the 1991 local elections.